The best part about making amazing healthy homemade dog food recipes is the ability to mix and match what ingredients you have on hand. If you don’t have the vegetables listed in the recipes on hand, experiment with something else that your dog is able to eat instead. The same goes with the meat base. If you don’t have the suggested meat base available for a particular recipe, substitute it for what you can find that will still be healthy for your dog and still fit into your budget. Choose what works for you as far as availability and quality. Remember, variety in what you feed your dog will give him the vitamins, minerals and nutrients he needs to keep him healthy. 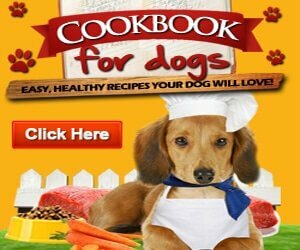 Your dog will love the 10 amazing healthy homemade dog food recipes we have below! In a saucepan, heat a little olive oil over a medium heat. Add the ground meat and fry until cooked through. Break up the meat with a fork as it cooks. Once the meat is cooked properly, add the spinach, carrot, rice, oatmeal and 2 cups of water. Allow the mixture to simmer until the rice is very well cooked and begins to swell. Stir occasionally to stop mixture sticking to the sides of the saucepan. In a separate cup, mix 1 cup of hot water and the gravy powder. Mix well with a fork until there are no lumps of powder remaining. Add the gravy into the simmering mixture and blend well. As the rice expands, it should absorb much of the water in the mixture. Remove from the heat and allow it to cool completely. Spoon the mixture into sealable, air-tight plastic containers. Store unused portions in the fridge for up to 3 days or store in the freezer for up to 2 weeks. In a mixing bowl, combine the ground hamburger meat and breadcrumbs until well mixed. Form meat into small patties. In a frying pan, heat a little olive oil over a medium heat. Cook the hamburger patties until well cooked. Remove from the heat and allow them to cool. Add the chopped liver into the frying pan and cook well. When the hamburger patties are cool enough to handle, chop them into small pieces. Add the chopped patties and liver into a medium-large pot along with the water, vegetables and rice. In a separate cup, put the gravy powder and just enough water to form a thick gravy. Mix the gravy well to ensure there are no lumps. Add the gravy to the stew. Simmer the stew over a low heat for approximately 20 minutes, stirring occasionally. Allow the stew to cool completely before serving. Store any unused portions in an air tight container in the fridge for up to 3 days, or store in the freezer. Place the mixture in a small loaf pan and bake at 350F (180C) for 30-40 minutes. When the loaf is cooked through, leave it out to cool. Slice into sections to serve. Combine all ingredients in a pot and cook over medium heat until turkey meat is cooked through and oats have begun to swell. Allow the mixture to cool before serving. Any unused portions can be kept in an air-tight container in the fridge for up to three days, or stored in the freezer. Place all the ingredients into a pot and break up the meat with a fork to separate it. Cook over a medium-high heat until it begins to boil. Allow the casserole to simmer for approximately 15-20 minutes, stirring occasionally. Cook until the meat is cooked through and the pumpkin has softened. If the gravy hasn’t thickened and the casserole still looks to runny, feel free to add a little more gravy powder. Store in an air-tight container in the fridge for up to 3 days, or freeze the casserole until needed. In a frying pan, cook the sausages. When they’re cooked through, remove them from the frying pan and leave them to one side to cool. Add a small amount of olive oil to the pan and lightly fry the pork over a medium-high heat. Use a fork to break up the meat so it cooks more evenly. When the pork is cooked, add the vegetables, broth and gravy. Reduce the heat and let the mixture simmer gently for 10 minutes. Cut the cooked sausages into bite-sized pieces and add them to the casserole. Allow the casserole to cool completely before serving. Store any unused portions in an air-tight container in the fridge for up to 3 days, or keep it in the freezer until needed. This is one of my favorite among the 10 amazing healthy homemade dog food recipes. Slice the venison into thin strips. Place all ingredients into a large pot and allow to simmer on medium-low heat for 20 minutes or until rice is over-cooked and meat is browned. Allow stew to cool completely before serving. Store any unused portions in air-tight containers in the fridge for up to 3 days, or keep in the freezer until needed. Slice the venison into bite-sized pieces and chop the vegetables. Place the ingredients into a microwave-safe dish and cover with a lid. Microwave the stew on high for 8 minutes. Stir the casserole, then return to the microwave without the lid to cook on medium for a further 6-7 minutes, or until the meat is cooked and the vegetables are tender. Allow the stew to cool thoroughly before serving. Store remaining portions in an air tight container in the fridge for up to 2 days, or keep portions in the freezer until needed. 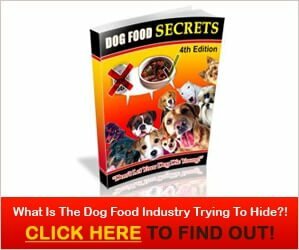 My dog love this recipe hence it made into the list of 10 amazing healthy homemade dog food recipes. Blend all the ingredients together in a food processor until well combined. Ideally, the mixture should be a pudding consistency. Add more flour if consistency isn’t right. Spoon the mixture into a microwave-safe bowl and cook on high for 5-6 minutes. Allow the cake to cool completely before serving. The list will not be completed if l did not include homemade beef kibble in the 10 amazing healthy homemade dog food recipes. Preheat your oven to 200F (100C). In a large bowl, mix all ingredients together well. Pour the kibble batter into a shallow baking pan so the batter is only ½ inch (1cm) thick. Bake the kibble for approximately 40-45 minutes, or until it becomes dry. Remove the kibble from the oven and allow it to cool completely. When it’s cooled, break it into small pieces. This recipe can be easily modified or adapted to suit your dog’s tastes. Instead of beef broth, add a little gravy with water. It’s also possible to add small amounts of pureed vegetables, such as peas, beans, pumpkin, or carrot, to the recipe. Simply substitute ½ cup of pureed vegetables and reduce the amount of broth needed by ½ cup. Store your kibble in an air tight container and keep in the fridge until needed. Any unused portions can be stored in zip lock bags in the freezer. If you enjoy the 10 amazing healthy homemade dog food recipes post, share it with your friends and other dog lovers on facebook and pinterest.